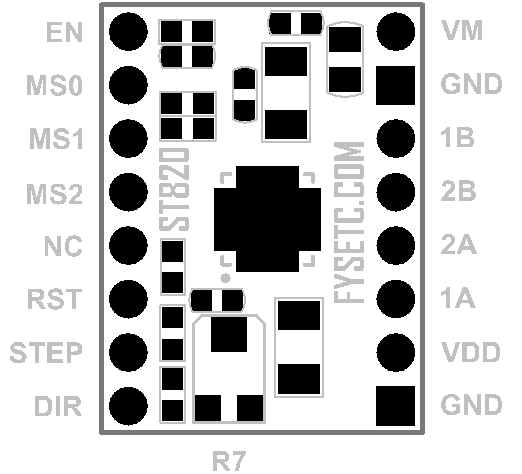 The ST820 is an easy to use Driver board for the 3D printer,Router and so on. 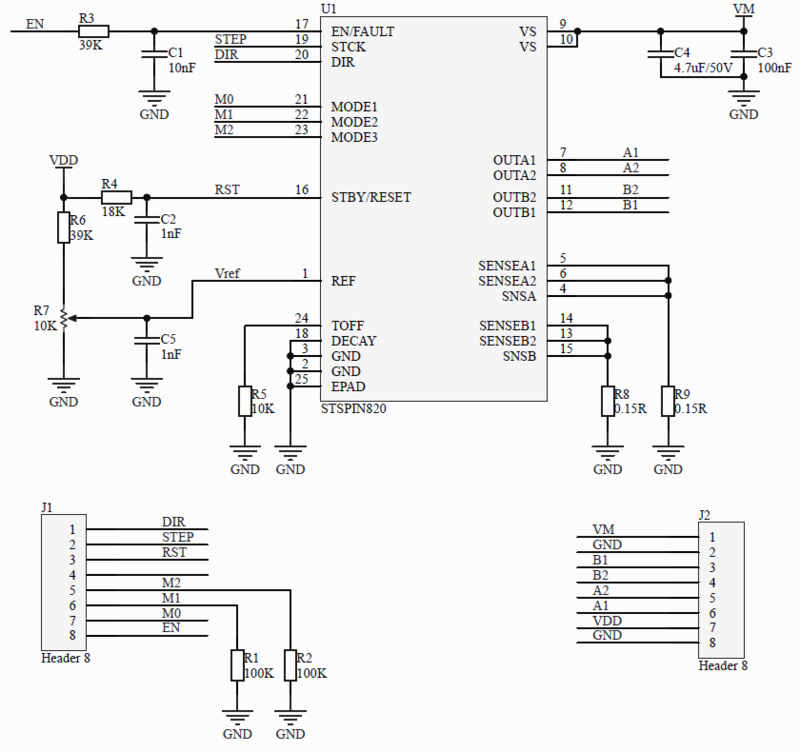 providing a compact solution to the stepper motor driver with minimal external equipment and without the need for extra components. 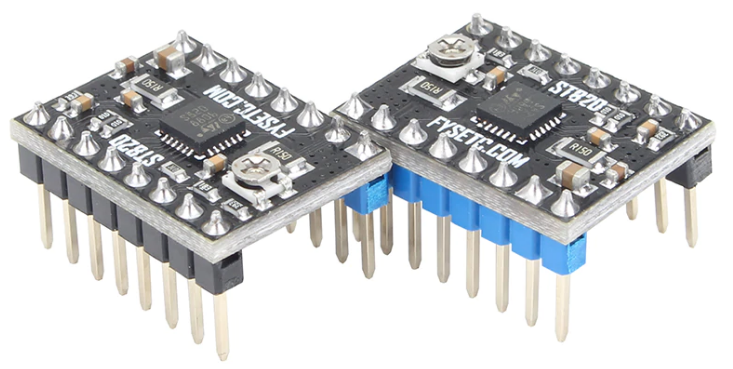 The hardware is fully compatible with RepRap Arduino Mega Poloulo Shield (RAMPS) or other similar Fused Filament Fabrication (FFF) 3D Printing platforms, representing a very fast drop-in replacement of similar solutions. Contrary to most other competitor solutions, the ST820 helps customers to really exploit the benefits of working at high microsteppingresolution. The inputs MS0, MS1 and MS2 sets the step mode of the STSPIN820 driver as listed in the table below. The R7 trimmer adjusts the reference voltage of the STSPIN820 PWM current controller setting the peak current input to the motor phases. The R7 trimmer controls the current level. Rotating clockwise increases and rotating counter clockwise decrease the current level. The range depends on the VDD logic supply voltage (pin 6 of J2) as listed in the table below. The trimmer can be adjusted by modifying some board components. • Power dissipation on the resistors is equal to Ipeak2 × Rsense. The power rating must be selected accordingly. Warning! Some of the components mounted on the board could reach hazardous temperatures during operation. After operation, allow the board to cool down before touching it.